Belted Kingfishers (Ceryle alcyon) are a charismatic bird species that occur throughout much of North America. They are typically seen perching over clear, open water and plunge-diving for their food. Their favored food is fish, but they are also known to eat crustaceans, such as crayfish. Kingfishers have a loud and distinctive rattle call, which makes them easy to locate. While they are widely distributed, kingfishers aren’t typically abundant in any one area as a breeding species because nest sites are limited by the availability of sandy cliffs or pond/river banks suitable for nest burrow excavation. They are also very territorial – protecting their favored fishing holes from other kingfishers. 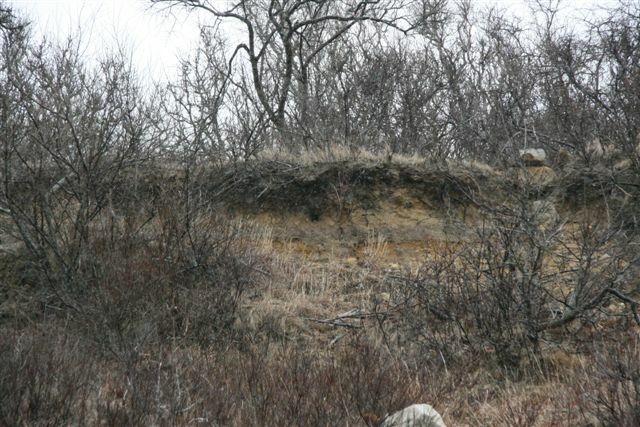 Sea level rise and storms are changing cliff habitats on Martha’s Vineyard. 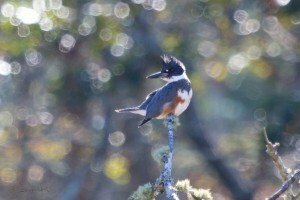 While kingfishers have been a breeding bird on the Vineyard since records were first kept, we don’t have any estimates of numbers of breeding pairs. 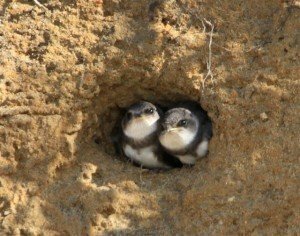 In the summers of 2012 and 2013, we conducted island-wide nest cavity surveys for these birds in as many sandy cliffs and banks as we could find. bank swallows at Lucy Vincent Beach – Lanny McDowell Avian Art. Some swallow species share nesting habitat with kingfishers. 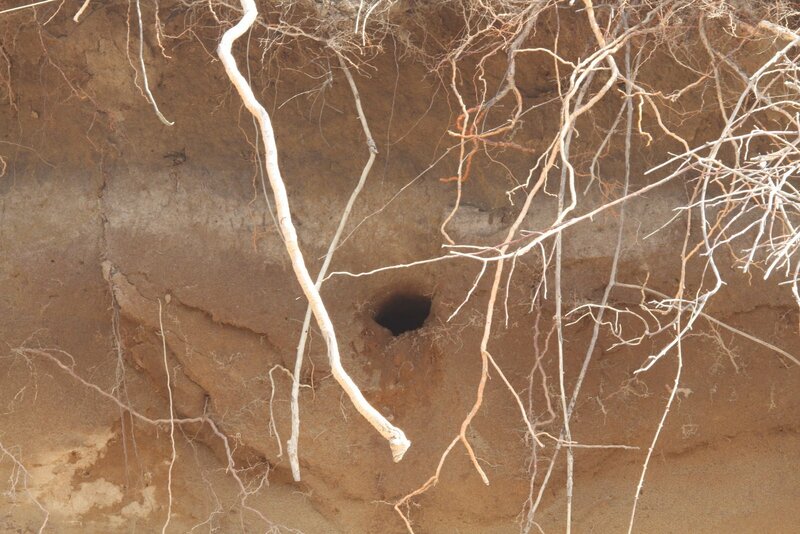 While surveying for kingfisher nest cavities, we also mapped all of the swallow colonies we found. We mapped nesting colonies of bank swallows (Riparia riparia) and northern rough-wing swallows (Stelgidopteryx serripennis). It is possible we missed some belted kingfishers in our surveys. 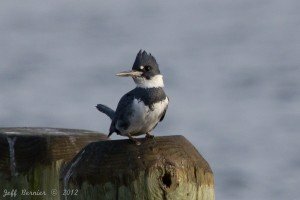 If you are a landowner with nesting belted kingfishers, and you would like us to include your property in our maps, please contact us here.